Visual Studio Code>Other>Markdown Preview Fuji StylesNew to Visual Studio Code? Get it now. 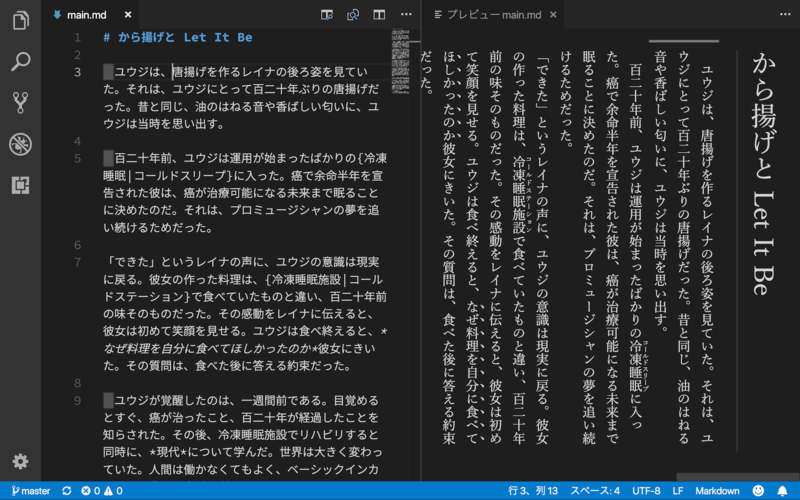 This is the VS Code extension that changes built-in markdown preview to Fuji style, which matches Japanese novels.